While during March a lot of attention in the film world focuses on Austin and SXSW there are still some great cinematic adventures to be had right here in Seattle. 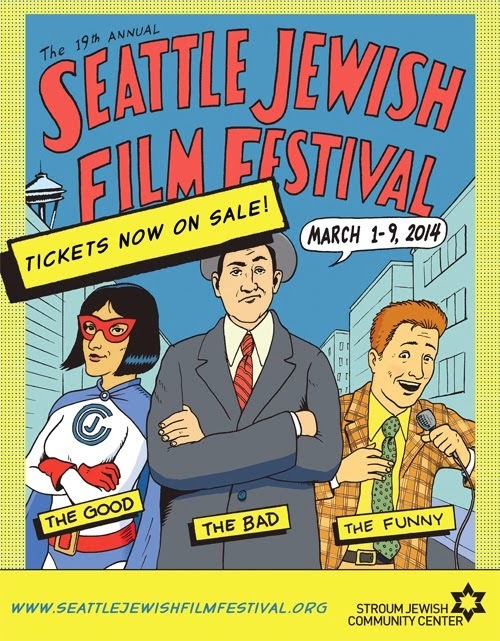 First among them is the Seattle Jewish Film Festival which kicks off this Saturday night. This year’s theme is “The Good, The Bad, The Funny.” Though I expect if you asked the organizers they’d tell you that “the bad” part of their slogan isn’t intended as a critical assessment of any of the choices on offer. There’s something to be had for all interests with events running all the way through March 9th. Opening night is The Zigzag Kid which sounds akin to a Hardy Boys caper, if they Hardy Boys knew what a bar mitzvah was and included trips to the French Riviera and Isabella Rosellini. The opening night film includes a dessert reception post film. I could make more jokes about the super-gentile nature of the Hardy Boys, but frankly none of them would be especially funny expect to me. But if you want to experience some old school Jewish comedy that actually lands the punch you might be interested in the festival's signature Sunday matinee event. This year’s Sunday Brunch and film pairing (which I’ve always wanted to attend but never quite get to) includes a screening of the Catskill’s comedian documentary When Comedy Went to School. Perhaps more importantly it also includes a spread of Jewish comfort foods. The film itself catalogs the key role that Catskill Mountain resorts played in the development of the comedy we enjoy today. I cannot say this is the greatest documentary of all time, frankly cheesy CGI production value of the non-interview footage and narration of Robert Klein is pretty groan worthy. But it’s still worth it for the broad set of vintage footage and contemporary recollections about the Catskills. I still chuckle to myself at some of the jokes when I recall them months later. So, add in the promised brunch spread and I think this one will be a winner. Not surprisingly the festival includes a number of documentaries focused on unique efforts Middle East to try to build trust and have everyone get along. This year's contributions include Dancing in Jaffa and the particularly appealing sounding Make Hummus Not War. The latter chronicling the food everyone in the Middle East loves but that people still manage to borderline violently disagree about how to do correctly. There’s also a documentaries exploring wider questions such as how Wagner’s Jewish fans balance his notorious anti-Semitism (Wagner’s Jews) and why there’s not a documentary about Neil Diamond (the Jewish Elvis) at ever year’s festival (Neil Diamond: Solitary Man). That last part isn't rhetorical, I truly do want to know. If I had to pick the one that most appeals to my personal off-kilter sensibilities it’d be The Wonders whose description of “part noir, part Alice in Wonderland” had me at “kidnapping of mysterious stranger.” Even without the deal sealing poster featuring odd looking rabbits. What can I say, I like a bit of edge (and rabbits) in my cinema going. Other ones that definitely caught my eye are Hunting Elephants as I’m a sucker for anything hinting at a geriatric crime spree, and Hotel Lux because I’ve simply got to know more about the concept of a Stalin-Hitler cabaret act gone wrong in 1933 Berlin. But don't let my personal tastes sway you - tons of details on all the films (and there are a lot) can be perused on the festival's official site. Individual screening tickets run $12 (with discounted tickets of $9 available to members of various things including SIFF) for the basic shows, events with food or music will set you back slightly more. If you’re going to see a bunch of films definitely consider their full festival pass ($250/$225) or the super flexible (and aptly named) Flex Pass ($100/$90) which lets you bring a friend along (or not) for up to 8 admissions total. Get all the details on their box office page. 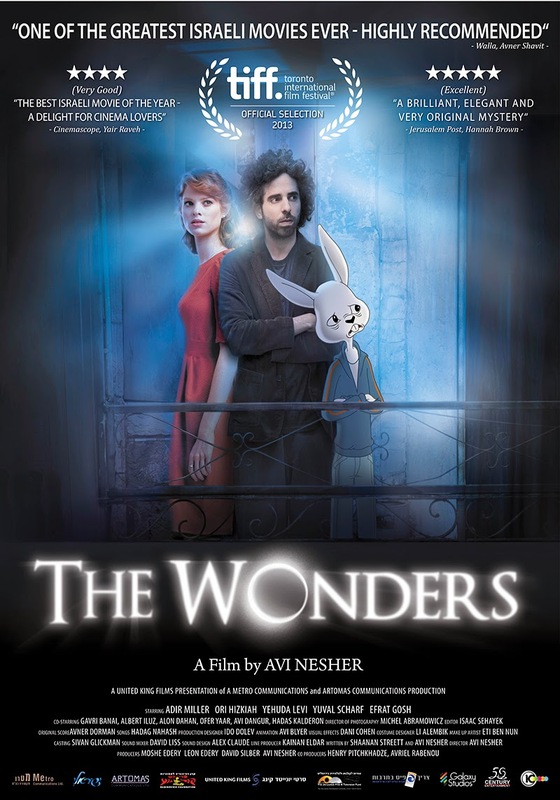 So a member of the tribe or not, do check out this year’s Seattle Jewish Film Festival. With so many options what’s not to like?